Every workplace has hazards. Workers need to be aware of the specific hazards of their work area, as well as those in other areas of the facility. Signs are an important component of every workplace. They remind workers of safe work practices, and alert those in the area of the hazards they may encounter. OSHA has specifications for safety signs that apply to the design, application, and use of signs or symbols to indicate and define specific workplace hazards. 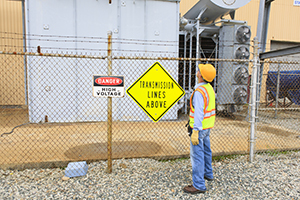 OSHA states that the type of sign used in a situation should be appropriate for the degree of hazard.